For centuries the clash of arms has stirred the dust of many a battle field. There, armies come to grip with one another fighting for reasons too many to count. The continual contest has spawned a host of tools to end life and preserve it. Weapons from the hand held to the ranged, armors from leather hides to chained mail have clashed time and again, one set against the other in eternal content. 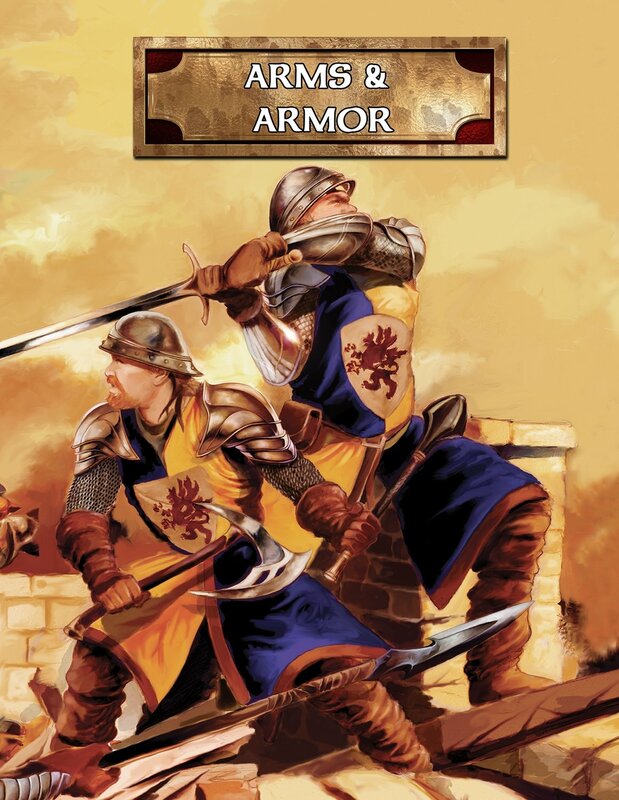 Welcome to the illustrated guide to arms and armor. Within you’ll find hundreds of listings of weapons, armor, shields and helms. Each entry includes a brief description of the weapon and its intended purpose as well as an illustration. Arms & Armor, complete with damage and range listings, is fully compatible with your favorite role playing game.